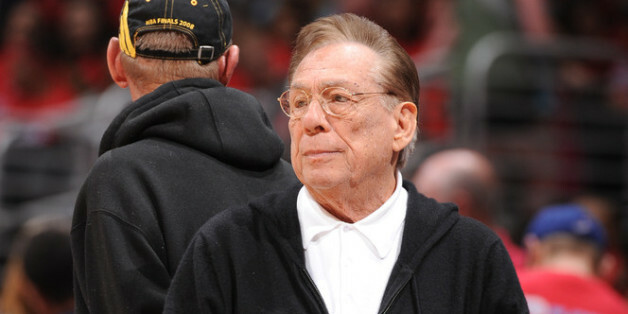 Donald Sterling's public image continues to crumble before our eyes after the NBA team owner's blatantly racist remarks were caught on tape for the world to hear. Corporate sponsors are fleeing his Los Angeles Clippers organization, the NBA has banned him for life and now charities are severing ties from the billionaire and his philanthropic dollars. TMZ is reporting two major organizations are rejecting Sterling's gifts -- Goodwill Southern California and A Place Called Home. Goodwill Southern California is turning away the $100,000 donation Sterling gave -- which was set to be allocated throughout the next decade -- and is returning the $20,000 that had already been accepted. A Place Called Home, a resourceful program for high-risk teens, will not return the $30,000 it has received from a $100,000 commitment, but will reject the remaining $70,000 balance, according to the outlet. Jonathan Zeichner, executive director of A Place Called Home, posted a blog on The Huffington Post on Tuesday denouncing Sterling's racist commentary and pointing out "how lonely it is to hate and judge other people on the basis of their skin color." He encouraged Sterling to visit the nonprofit the billionaire previously funded to see firsthand the positive change it has on the young people it serves. Earlier this week, the Associated Press reported that the NAACP has decided not to honor Sterling with a Lifetime Achievement Award from its Los Angeles chapter, and will return Sterling's donations to its organization as well. UCLA is also rejecting a $3 million gift towards kidney research at the university, as Sterling's "divisive and hurtful comments demonstrate that he does not share UCLA's core values." You can visit Goodwill Southern California's website or A Place Called Home's website to learn more about the organizations and donate to their causes.